Earlier this week, members of the Cooke Foundation staff had the pleasure of notifying another College Scholarship Program recipient in person. 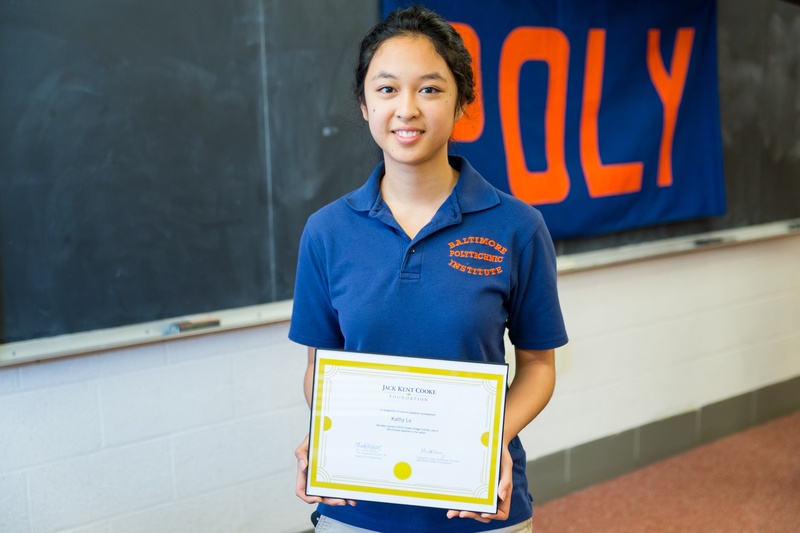 Kathy Le is a senior at Baltimore Polytechnic Institute (Poly) whose research on genetic mutation led her to be named a semifinalist in the 2016 Intel Science Talent Search. Her research work was a part of Poly’s Ingenuity Project, a 2015 recipient of the Cooke Foundation’s Selective High School Grant. In the video below, Kathy shares her ambitions to continue to think big, work hard, and achieve as a Cooke Scholar.